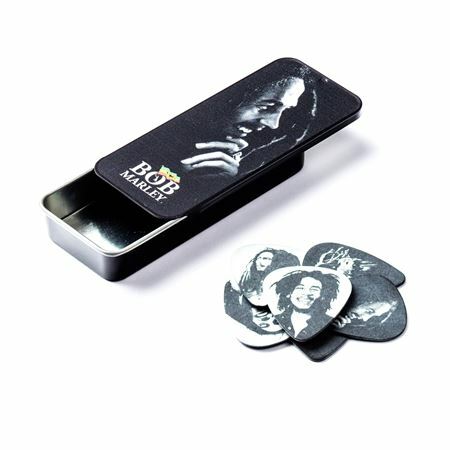 Order your Dunlop BOBPT04H Bob Marley Silver Portrait Pick Tin 6 Pack Heavy from AMS and enjoy Fast & Free Shipping. Get the Best Deal with our Lowest Price Guarantee & Great Customer Service! Bob Marley is a cultural icon, having spread reggae to a worldwide audience and gaining a following that transcends age, race, gender, and culture. 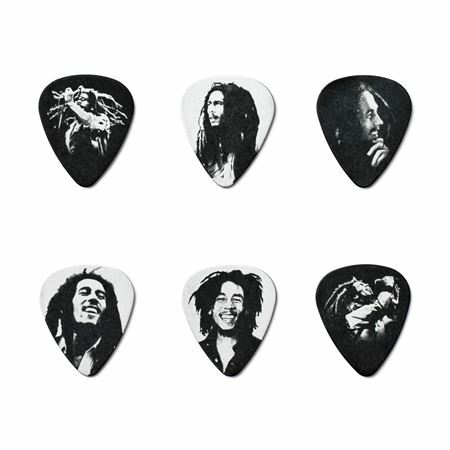 To celebrate his contribution to music, Dunlop has created the Rasta Series and the Silver Portrait Series Pick Tins. 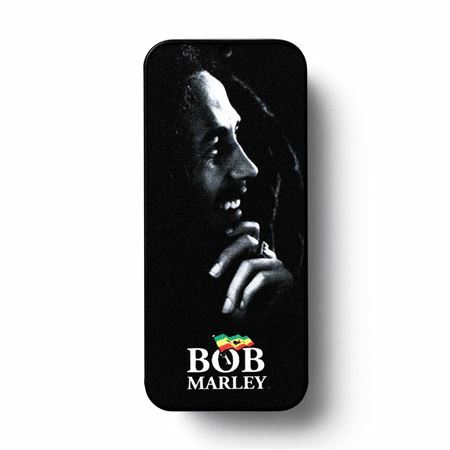 The vibrant Rasta Series features Tin and Pick designs with images of the icon himself washed with the colors of Jamaica, his homeland. This Pick Tin includes six heavy gauge picks.